As an entrepreneur, sometimes I get stuck and am not sure what to work on or where to go next. I hit a wall and get the entrepreneur equivalent writer's block. One of the best ways that I have found to get the ideas flowing again is to read or to listen to an inspiring talk from one of my favorite authors. I have listened to some of these talks several times. But each time I hear something different that I hadn't heard before. Something that was exactly what I needed to get my brain moving again and get ideas flowing. Here are a few of my favorite talks to hopefully inspire you. This talk is one that Simon Sinek gave at TedX in Puget sound and is based on his book Start With Why, which I also recommend reading. He explains that business are really good at telling people what they do, but have a very hard time communicating Why they do it. And the answer can't be "to make money." If you can nail the WHY, then you are in business. Best Quote "People don't buy what you do. They buy WHY you do it." Don't design your product in a bubble, assuming that you know exactly what customers want. You don't. As Steve Blank puts it "Get out of the building" and talk to customers. Do customer discovering and development and figure out what they actually want. Jack is the master of positioning and has written several great books on the topic. Read them all. In this interview he gives an overview of both the good and bad positions that Coke and Pepsi have taken over the years. Malcolm Gladwell is a great story teller and in this talk he tells us about a man named Howard Moskowitz, who changed the way the food industry looked at choice and options. Howard realized that there was no one perfect option in a food group. Different people had different tastes and therefore wanted different choices. Best Quote - "People don't know what they want! As Howard loves to say, "The mind knows not what the tongue wants." It's a mystery! (Laughter) And a critically important step in understanding our own desires and tastes is to realize that we cannot always explain what we want, deep down." We all have ideas. Tons and tons of ideas. A good idea isn't always enough. The trick is getting them to spread and getting people to use them. What are your favorite videos that get your brain working? Why in less that 24 hours has this dress gone viral, nearly melting the internet in an attempt to determine if its white/gold or blue/black? There is no gray area here (pun intended). 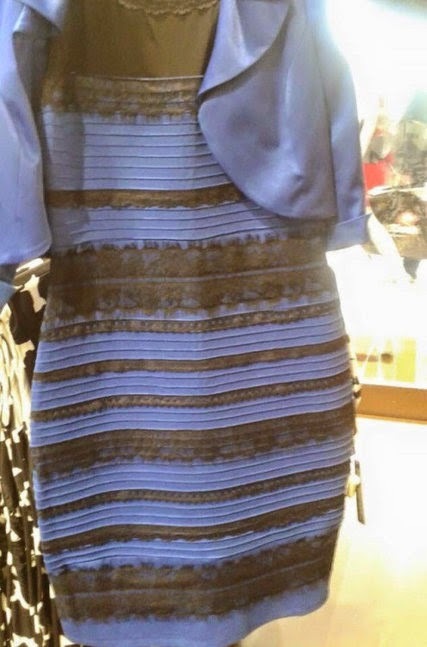 You either see a white/gold or a blue/black dress. And you can't possibly understand how someone else could see it any different than you. People are arguing about it on Facebook, Twitter and in the office. If you want people to talk about something, make it polarizing. Make it so that everyone has an opinion about it and that there will be difference of opinion. Can a good story make something more valuable? Consider diamonds. Man-made, "synthetic" diamond are produced in a lab by either high pressure and heat or a chemical process. It takes about a week or two. Real diamonds are produced about 100 miles below the Earth's surface over a couple billion years. The truth is, "synthetic" diamonds aren't actually synthetic. They are in fact real diamonds. But they have a terrible story and sell for about 30% less than a real diamond and few people buy them. No future bride wants to show her friends an engagement ring that was grown in a lab by a man in a white coat. Its not romantic and not exciting. 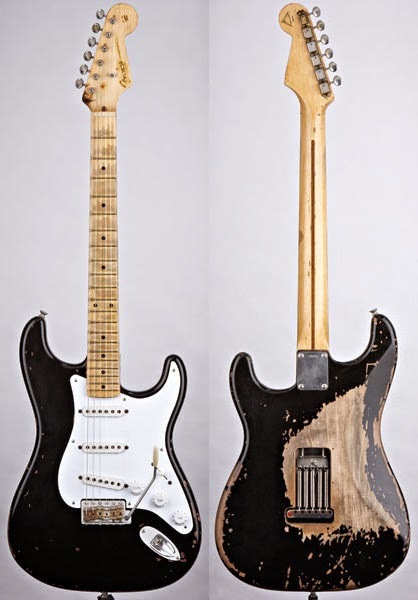 How much would you pay for this old guitar? At first you might think it's just a beat up piece of wood and electronics that you wouldn't waste $50 on at the local pawn shop. But it's more than just a beat up piece of wood. It's the guitar that Eric Clapton played from 1970 to 1985 and was on the cover of his albums "Slowhand" and "Just One Night". He named it Blackie. Now how much would you pay for it? In 2004, Guitar Center purchased Blackie at auction for $959,540, making it the world's most valuable guitar at that time. The story is important. Like the diamonds or Blackie, people are not paying for what the item is. They are paying for the story behind it. With out the story, a diamond is just a piece of carbon and a guitar is just a piece of wood.